That was the mother I was yesterday. I was tired, I was anxious, I was looking to my to-do list and not to Christ’s to-BE list. Have I forgotten everything I learned about my true identity in Christ? Have I so quickly forgotten that I do not need to have everything go my way to have peace today? That a clean home is not my shelter and orderly children don’t earn me anything that the blood of Christ hasn’t already provided for? That the thing standing in my way to happiness today is ultimately my expectations wrapped up in sinful pride. 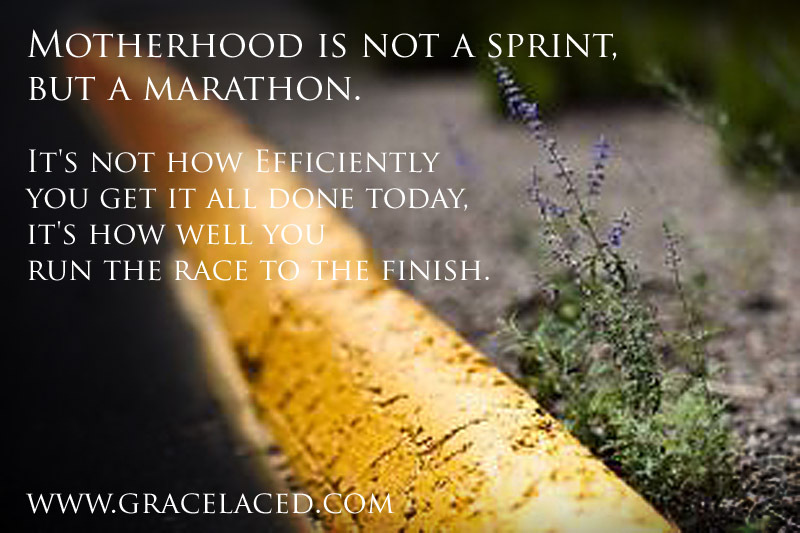 When I have a day like yesterday, it serves to remember that motherhood is a marathon, not a sprint. Dirt and dust, accidents, crying, messy diapers, and dishes will not cease at the end of the day. We so often act like we can overcome these inconveniences of daily living in one fell swoop…like it is somehow possible to so accurately manage the unpleasantries of working in the home that we might never have to tackle those things again. It’s not how efficiently you get it all done today, it’s how well you run the race to the finish. The reality is: What we might perceive as unpleasant, inconvenient, and exhausting tasks of motherhood, actually serve to accurately reveal what we desperately rely on for comfort. We depend on those comforts, hoping that we might not need to look elsewhere, or to anyone else, for sustenance. We often live like we want to run our own race, according to our own rules, for our own glory. 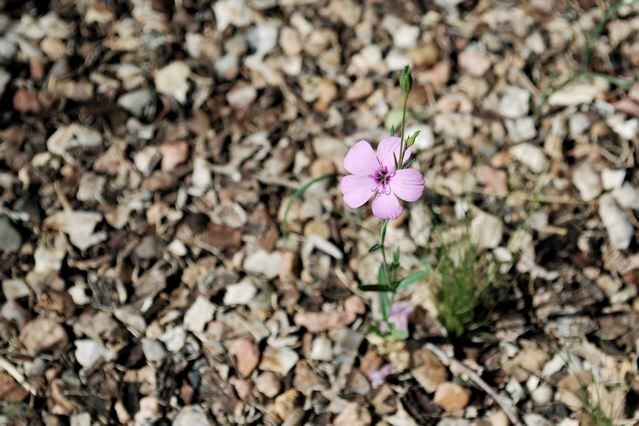 We rebel against humility, weakness, lowliness, and dependence upon our Master…and try (and fail miserably) to fulfill ourselves through meager means of control and striving. And Jesus woos our rebel’s heart by allowing our efforts to come up short and our attempts at satisfying ourselves to feel empty. Instead, he fills the void with what we cannot muster up for ourselves: patience, joy, forgiveness, wisdom, humility, righteousness…an eternal perspective…all of which I desperately needed yesterday. His mercies are new every morning. Great is thy faithfulness, Lord...Today will be unlike yesterday, by your grace, and for your glory…as I submit to the marathon of motherhood. I hope you’ll join me today. Yesterday was a bit of a disaster. It was the kind of day that made me think I believed in putting my kids in front of TV for hours and hours. It was the kind of day that made me frustrated to have five noisy boys who play loud and argue louder. It was the kind of day that started with good intentions and ended with much repentance. …but ultimately, the remodel-the-boys-the-hormones-the-holidays didn’t make me have a defeating day. My expectations did. I wanted a clean house. I wanted cooperative children that wanted a clean house. I wanted Christmas music playing, instead of yelling while we cleaned the house. I wanted a clean house for comfort, for normalcy, for some sense of readiness for the warm, joyous occasion that is Christmas. I’m not the only one who had expectations. Troy expected to make greater progress on wood flooring and cabinet painting. The boys expected ease. And, well, you know what my expectations were. You never realize that an expectation has become an idol until you’ve made sinful attitude choices in response to your unmet expectations. And as the man of the house confessed his lack of patience to the boys at dinner, I looked around and realized: The first Christmas happened in a dirty stable. There were no glittering lights and scented candles. Baby Jesus was not born into the welcome of warm cookies and freshly wrapped presents. He was born to weary, but expectant hearts. He was born to trusting, obedient parents. He was born into a world in need of a full renovation. 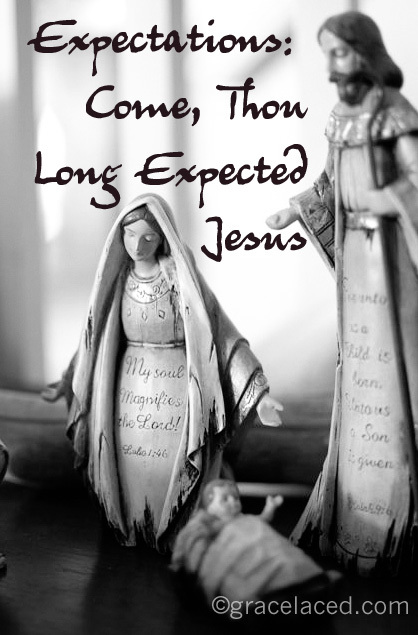 Those who waited for Jesus’ arrival with expectancy for their own agenda were disappointed. Only the hearts that were expectant for His plan, His promise, His provision found rest and rejoicing. I tell the boys at bedtime that we will try again tomorrow. We will try with expectant hearts…not expectant for our own selfish desires for comfort and happiness, but expectant for His. Have a blessed weekend friends, setting your hearts in expectation of Him.